Specialization: Reiki, Meditation and Mindfulness practices, Spiritual Crisis, Spiritual Counseling, Grief Support, and End-of-Life Transition. Nancy offers support for people through meditation-based healing modalities which include Reiki, Mindfulness practices, Depth Hypnosis, Energy work and Spiritual Counseling. 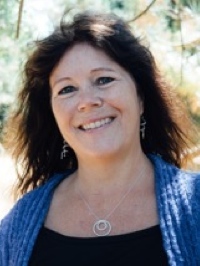 Nancy draws on these modalities, as well as Shamanic and Buddhist based healing practices to provide a compassionate healing space; connecting people to their inner wisdom and source of personal power while supporting them in the process of self-discovery.